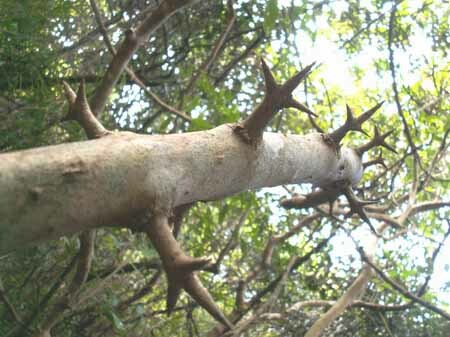 Thorns on tree trunks keep animals off from climbing and damaging the tree. It is a protective mechanism. 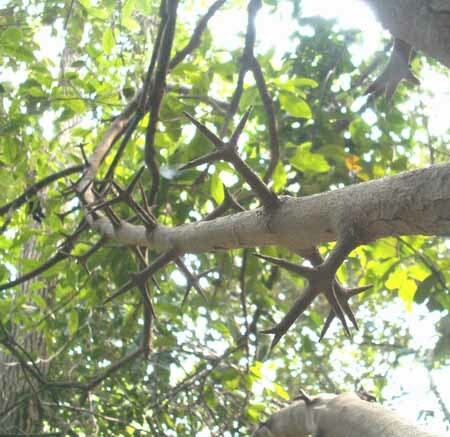 However, I notice that fruits of these many varieties of thorny trees are actually not attractive. 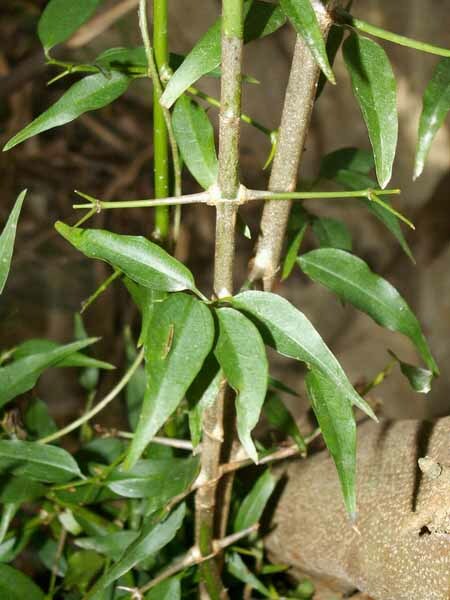 Examples are Small-fruited Honeylocust (Gleditsia australis), Kwangtung Scolopia (Scolopia saeva), Prickly Ash (Zanthoxylum avicennae), Ailanthus-like Prickly Ash (Zanthoxylum ailanthoides) etc. I wonder what these trees are scared of. Here is Narrow Flower Poisonnut (Strychnos augustiflora). Its fruits are like tangerines and attract Cercopithecidae to pick them. Its thorns are like birds' claws, hard and sharp and a bit scary. However, it takes time to grow, so they are not necessarily brought into full play.